When I was a child, there was no Sunday lunch without fresh homemade tagliatelle. Back from church, after putting the chicken into the oven (another Sunday’s must have), my granny always made homemade pasta, while us, me and my three little brothers, we were around the table looking at her. A bit of flour, fresh eggs laid by our hens, a bit of elbow grease and… homemade tagliatelle were ready. 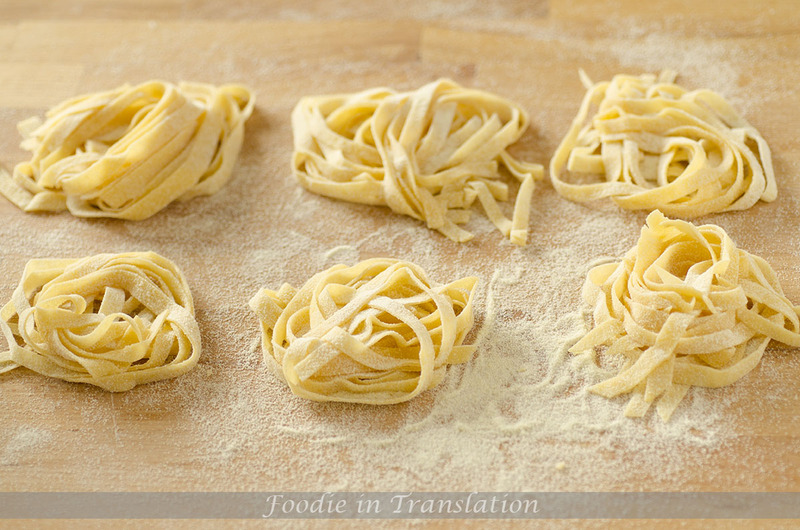 So, today, I will show you how to prepare homemade tagliatelle. You can use any kind of flour, but I prefer to use durum wheat semolina. Because this flour allow the tagliatelle to be more porous than usual and this is perfect for the sauce. The usual proportion is 100g of flour per egg, but I normally use 75g of flour per egg. 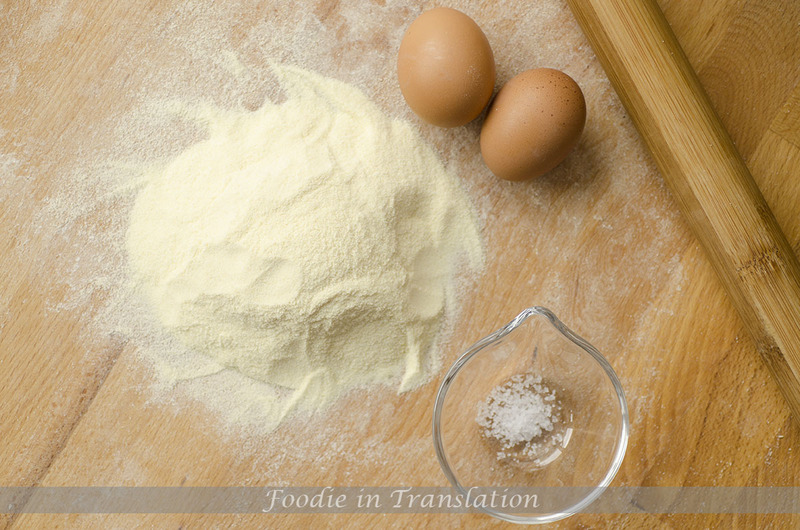 Because the eggs size can be different, so, to avoid a dough too dry and too hard to work, I prefer using less flour at the beginning and then add it gradually, in case I need it. 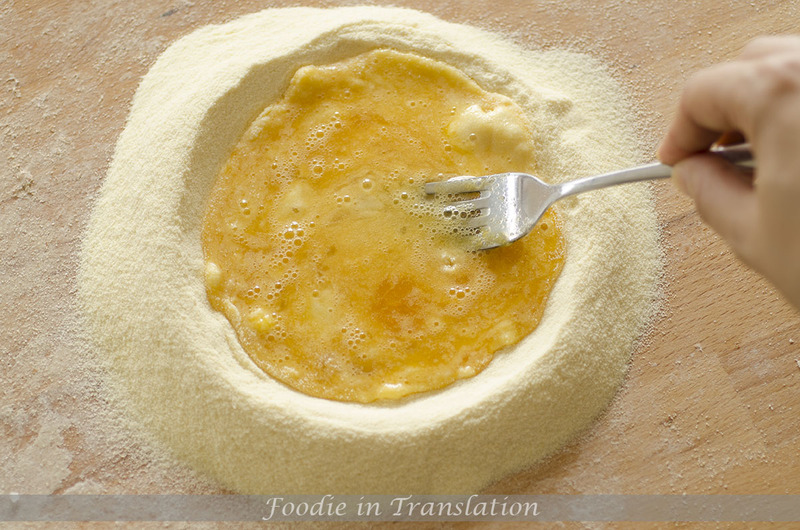 Put the flour on a wooden board, make a well in the center and crack the eggs inside of it. Add a pinch of salt and beat the eggs with a fork. When you mixed all the flour, start working the dough with your hands until it became a soft and smooth ball. Cover it and let it rest for about half an hour. 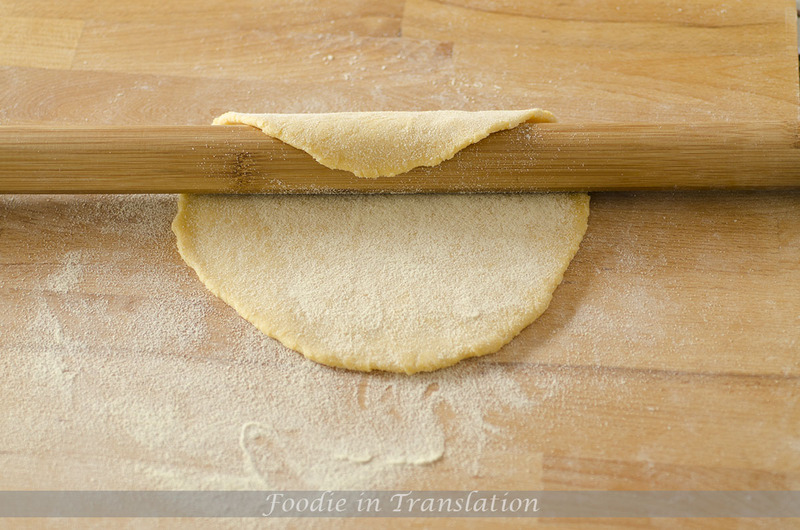 Roll the dough out with a rolling pin until it is sufficiently thin, but not too much. Sprinkle with some flour and fold the pasta sheet over. 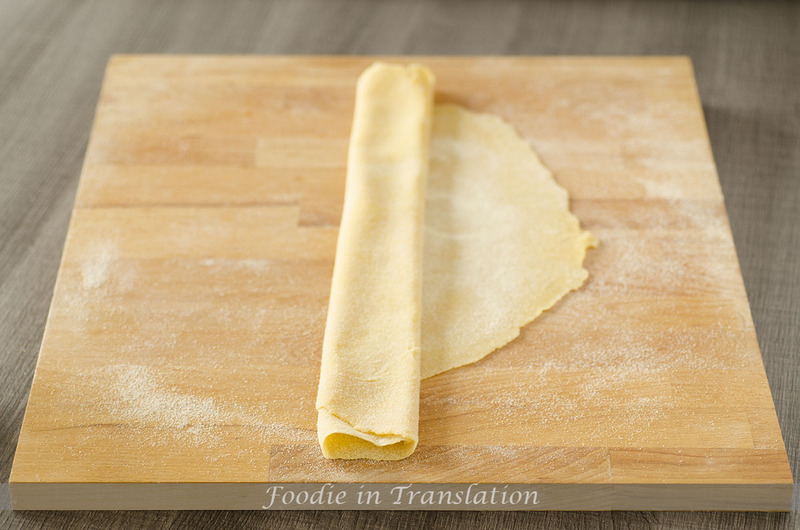 Cut the sheet with a smooth kitchen knife, create some nests with the fresh tagliatelle, dust with flour and let them dry until it’s lunch time. 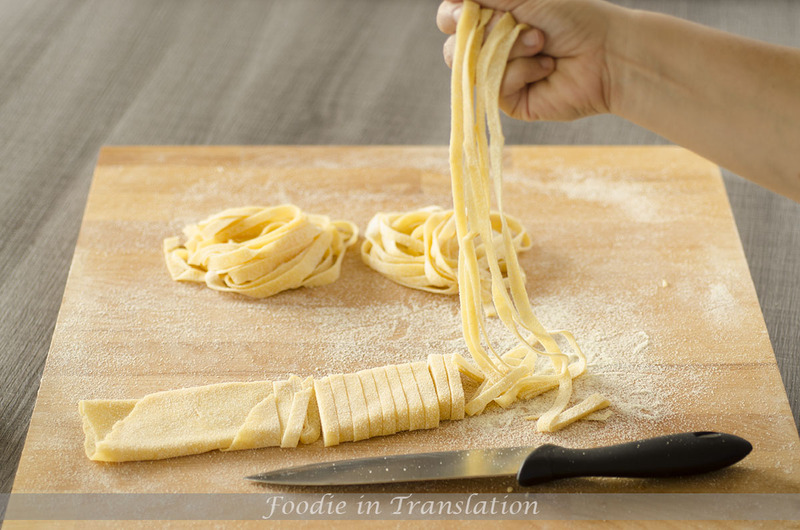 Cook and serve these delicious tagliatelle… with some ragout sauce!